SHIPPING: $4 for first item. Extra $1 for each additional item. 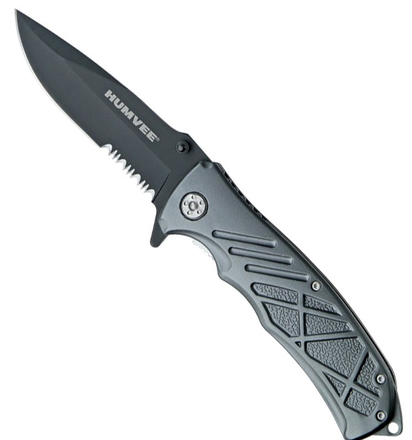 3 3/8" black finish stainless partially serrated blade with dual thumb studs and extended tang. Pewter finish stainless handles with sculpted designs.